A Sinn Féin TD has publicly apologised after he admitted drunkenly engaging in threatening and abusive behaviour to a garda who had called to his home about a local noise complaint. 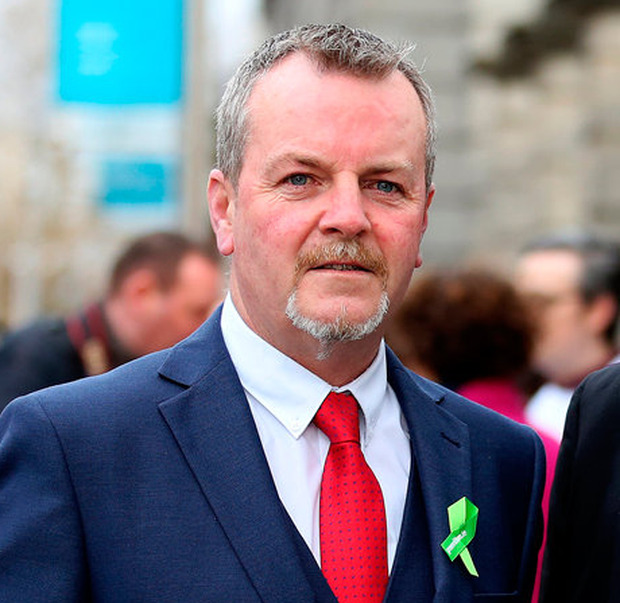 Cork East TD Pat Buckley (49), a first-time Dáil member, issued the apology after pleading guilty at Midleton District Court to being drunk and to engaging in threatening and abusive behaviour to a garda in the course of his duty. Mr Buckley, of Broomfield West, Midleton, Co Cork, pleaded guilty to the two charges brought under the Public Order Act before Judge Brian Sheridan. The TD and father-of-two will be sentenced on November 8 next. Inspector Tony Sullivan told the court that the incident arose out of a noise complaint received by Midleton gardaí. When officers called to Mr Buckley's home to make him aware of the noise issue, they were told to "f**k off". The Sinn Féin TD issued a public statement of apology following the court hearing. "This was a family event, a celebratory affair involving a few drinks in my own home," he said. "Unfortunately, with alcohol on board, my attitude towards the gardaí, when they arrived at my home, was not what it should have been. "I apologise profusely for any offence caused and I accept totally the punishment handed down to me in court yesterday." Buckley was elected to the 32nd Dáil at the 2016 General Election in the four-seat Cork East constituency.